Welcome to The B-Man's Flag Football Page Bulletin Board. You can post messages for other players to read and respond to -- comment on the plays, discuss strategies, or advertise your league or tournament. Messages can include HTML tags so you can use bold or colored text, hyperlinks, even images! Please make sure your syntax is correct, though. Syntax errors could corrupt the entire page. Spamming is prohibited! 1/10/2018 9:46am ET Looking for players that can be committed to showing up here in San Antonio. Looking for all positions and athletes. Right sports team management app will save a lot of time in team communication. Thapos is one such tool, which is completely free to use. Thapos mobile app is available for Apple and Android devices on app store and play store. Thapos helps coaches to coach and manage teams, athletes to excel at sports, parents and everybody else to get connected with the team. Please let me know any questions. 2/10/2016 4:52pm ET I coach the team and am looking for experienced, solid, reliable offensive lineman who is a team player. Do you fit this? we play in snydersville, PA every Sunday. Spring season starts in March....Please contact me if you feel you are the right fit. 4/7/2015 3:50pm ET If you're looking for free flag football plays, strategies, videos, and a place to search for tournaments going on all over the world for every format feel free to check out this site! It's run by current and former players who've played and won at the highest level competition events around the US and has info for players of all levels! Also would love to hear from you what we could add to make it better, such as blog topic ideas, features, and more! 3/15/2015 11:31am ET Hello. I coach high school varsity girl's flag football-7 vs 7 and it is very competitive. I coach the defense and we have started the season 3-0 with 3 shut outs. My defense is solid in defending the pass-8 interceptions and 3 pick-6's so far. My concern is defending the run. Once we start playing those teams who have a solid run game, I'm afraid they will simply run and not allow turnovers. I have been toiling with which defense would be the best. As of right now we mainly use: 1-5-1, 2-4-1, or 2-3-2 w/ different blitzes. The teams later on our schedule will feature a quick QB that will roll out to the sideline with the option to pitch back to the RB. So, I need a defense that can successfully seal the edges while not compromising the middle of the field for when they throw to the center. Any advice is great! ly appreciated. Thanks! 2/23/2015 1:49pm ET Does anyone know a good place where I can get gear for my team? Mainly looking for jerseys and shorts. There is a Three (3) Game guarantee for teams. Cash payouts for Top 3 Teams in the 18+ Divisions. Contact me if you are looking to create a team or would be a free agent. 7/30/2014 9:16pm ET Hey all, I have been looking for rules for flag football with limited contact blocking. Since I couldn't find much, I decided to write my own. I would like to hear feedback if anyone is interested. With the following link, you should be able to view and add comments. It is written for 5v5 (and 4v4), but could easily be modified for more. Thanks! 7/19/2014 11:45am ET Hey guys I found one of the best leagues out right now. These guys are offering some major cash to any winning team. Trying to get a team together. their website is www.anslsports.com and their Facebook is https://www.facebook.com/anslsports?ref=br_rs check um out. I think their grand prize is like 50K!! who's down to run a team with me?!?!? 7/17/2014 1:20am ET Team CODE RED is a competitive adult-rec womens flag football team and we are searching for athletic female players. Text Coach Grant if interested. 404-748-3718. Located in Atlanta,Ga. 4/30/2014 3:25pm ET 7v7 Indoor Flag Football at Game On!!! Spots are filling up fast, contact us today!! Visit our website for more details!!!! 3/19/2014 1:57pm ET I run a flag football team in Mercer County, NJ - Hamilton area. We play in a 32 team league being one of the most competitive in the Tri-State area. Our team is always in the final 4 or finals in the local Tourney's. We need 1 or 2 players that are serious athletes. If interested, we will be scrimmaging this sunday morning 10am. By the way, great team, close group and our sponsor pays for everything which is always nice. 2/22/2014 12:26am ET I'm recently recovering from a broken hand and want to get back on the field,only one way to see if its a hundred percent and that's to play some ball.looking for a team join hopefully for a long time. Although the league is touch football, we wear 1955-65 NFL style uniforms, helmets, pads, cleats, etc. Our league has just formed and "franchises" (teams) are being formed in Houston, Dallas and Birmingham, AL. Come join the best fitness sport today: Vintage NFL football! Early registration - $80 off team price until Dec. 20! 9/24/2013 4:15pm ET does anybody know where I can get a playbook for 9 on 9 man flag football contact?? 6/11/2013 4:28pm ET I was wondering if you knew of an outdoor league near woodbridge NJ. Just moved here and looking to play. I played 4 seasons in the ACFL and 4 seasons in a 9man league in PA. Qb'd 4 championship teams 2 in ACFL and 2 in PA league. Would be looking to throw for a team. Thanks in advance! Winter Season Play will consist of 6-10 teams. Style of play : Recreational, No down field contact. Time: Saturday Mornings starting at 9:00 am. Where : Buckeye Christian Church 1528 London/Groveport Road Grove City,Ohio 43123. Length of Season: 5 Regular Season Games. Playoffs: Top Four Ranked teams qualify. 11/18/2012 7:01pm ET 6 on 6 men's flag football tournament ( double elimination ) in Erie,pa Dec15-16h indoors on turf,cleats allowed on turf. 10/10/2012 9:45am ET FlagMag.com would like to cordially invite your teams to play in our Winter International Flag Football Festival Feb 23/24th in Panama. Costs are $99 all included for three days. The event will have a Camp, Clinic and Tournament. The Tournament is restricted to the first 50 teams. Stringtown Road Roosters Flag Football Team Of Grove City,Ohio 43123 Is Looking For Players 18 And Over To Play In It's Inaugural 8-Man Contact (Live Blocking) Season Sundays At 1:00 pm Or So Depending If We Have Doubleheader Or Not. We Start Sunday August 19th,So Get Ready To Play. Here Is The League Website With Our Schedule (Stringtown Road Roosters) Of Gametimes. If You Would Like To Sign Up Contact/Text Troy Reed at 614-546-8400 Or Show Up Ready To Play. Please Bring A White Shirt And A Black Shirt To Play In. 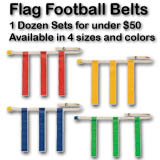 7/29/2012 9:35pm ET I am interested in joining a competitive flag football league/team near Columbus. If anyone has any immediate openings contact me. 313-770-8300.